Even as we're swimming in mobile payment systems from such wide poles of the electronics world as Google to WalMart, one has to admit that Samsung Pay's ability to pay for goods and services using most standard card-swipe machines is pretty neat. A recent report from Reuters says that Samsung has even more plans for mobile payments, and it doesn't have much to do with "mobile" at all. Reuters quotes Thomas Ko, a co-general manager of Samsung Pay, who said that the service would be coming to a wider variety of Samsung phones and to online payments "within the next year." 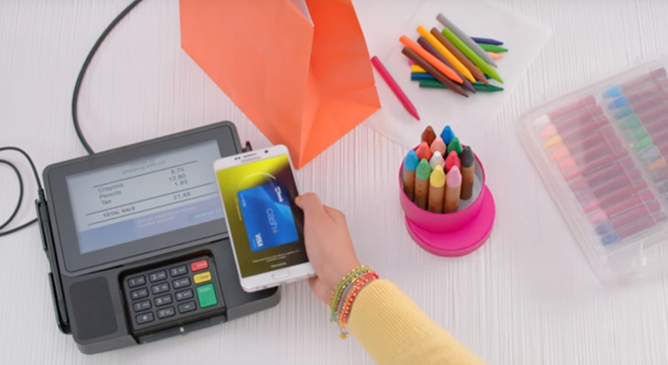 Expanding the contactless payment system to more mobile devices is a no-brainer - the more people that can use it, the more Samsung earns in transaction fees. But the revelation that the company intends to enter the online payment market came out of left field. To be clear, this would be an easy-to-use, single sign-on system that online merchants could plug into their existing stores, like PayPal, Amazon Payments, and Visa Checkout. Online payments have seen far less excitement than mobile payments, with the aforesaid trio representing the majority of add-on payment systems (if merchants offer them at all - plenty of them will insist on laboriously adding debit or credit cards and addresses just for them). Samsung could be an attractive option for users who already have their payment data saved on their phone, making it an easy log in and pay system for a variety of online stores. The trick will be getting those stores to sign up in the first place. While I imagine that plenty of South Korean retailers will be more than eager to accept Samsung Pay online, American and European retailers probably won't be quite so quick to jump on to a payment platform that's limited by the user's choice of mobile phone. Amazon, the 700-pound gorilla of online shopping, is sure to abstain in favor of its own established system.